It doesn’t matter what size your home, decorating pet-friendly can be a constant challenge for those of us with furry buddies. 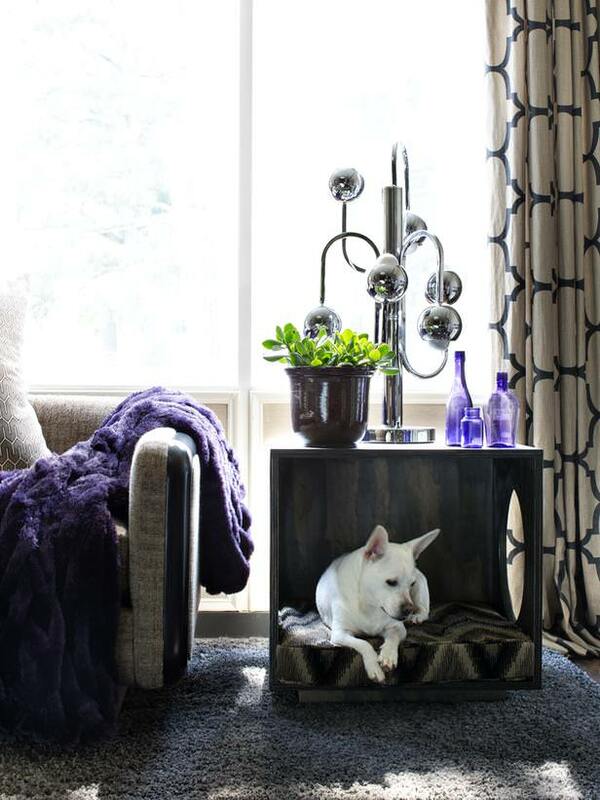 Everything we choose in our homes affects our pets…from basics to accessories. In a small home or space, these problems can become even more apparent. 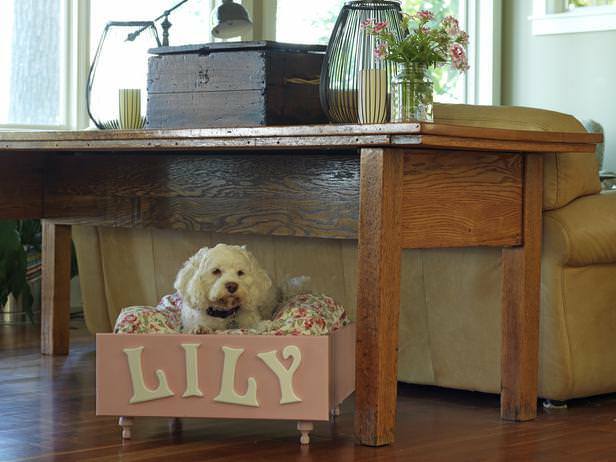 Here are some pet friendly decorating tips, tricks, and projects to create a space every member of your family can love! 1. Choose durable and washable fabrics. You don’t want to be spending all your time brushing and fretting over who did what, where. Just toss slipcovers in the washer, or shake that rug out on the back porch. Expensive fabrics and pets DO NOT mix. Ikea Hackers have got the solution for people like me who hate ugly cat scratchers, and it doubles as a bed space. 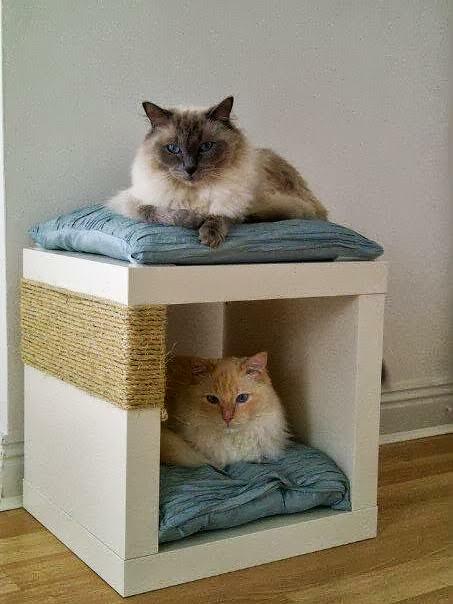 If you have an Ikea near you, this double decker cat scratch post/bed project is easy, and looks great. 2. Match your fabrics to your pets fur color. I have a dark brown sofa, but a light orange/cream cat. I lay an ivory textured throw over that part of the sofa he has made his domain. You can’t see the fur, and I don’t get worked up on a daily basis over what he leaves behind. I just wash it once a week, and peel it off if I need to use that part of the sofa. Pretty, yet does the job! 3. Use gloss or semi gloss paint on walls where pets frequent. In other words, if you see a dark spot growing on the wall next to the door, where your Lab excitedly jumps up and down waiting for a walk, know you will have to clean that spot…a lot. Make it easy on yourself. 4. If you let your pet sleep on the bed, use sturdy cotton fabrics that are easily washable, and consider a duvet. Using a duvet will cut down on your laundry, and also will keep your comforter from wearing out as quickly with the repeated washings. 6. 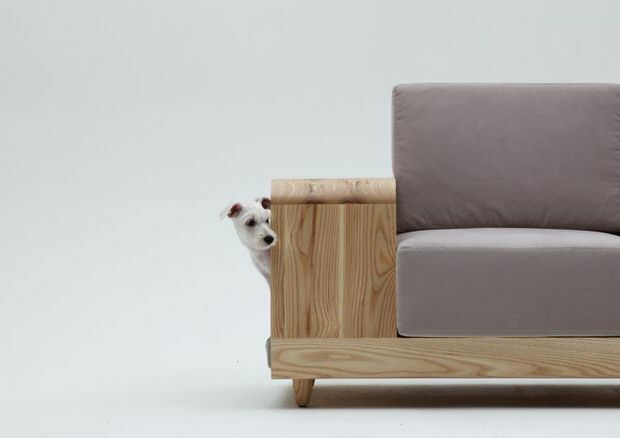 Create pet spaces for your buddies within the design of the room. Which comes to the project part of the post! Try these pet friendly projects to create special beds and activity areas, while still working within the space, layout and look of your room. From DIY Network, old dresser drawer, furniture legs, paint, letters…way cute! 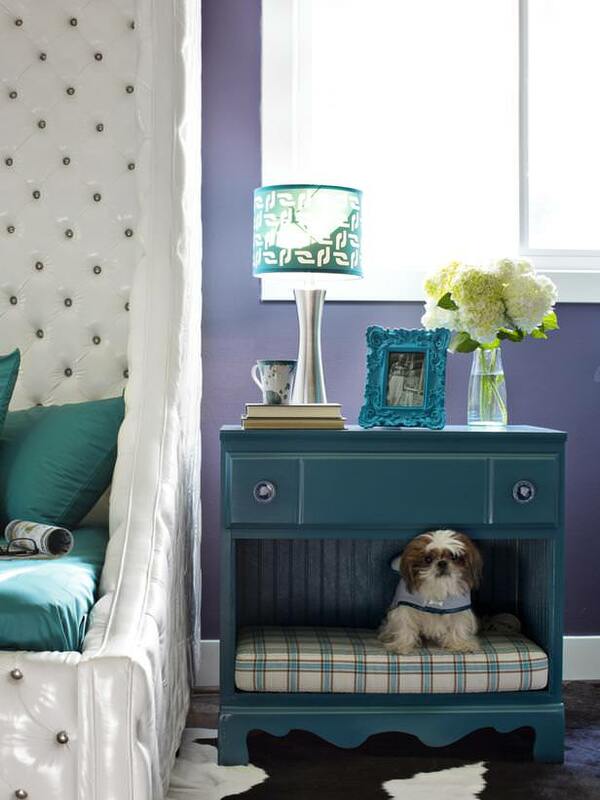 Nightstand turned pet bed… DIY Network removed the bottom drawers, backed the inside with beadboard scraps, then added a soft cushion. Would be great for cats too! Want to make a pet bed table from scratch? Here is a tutorial to create a pet bed/ occasional table project. 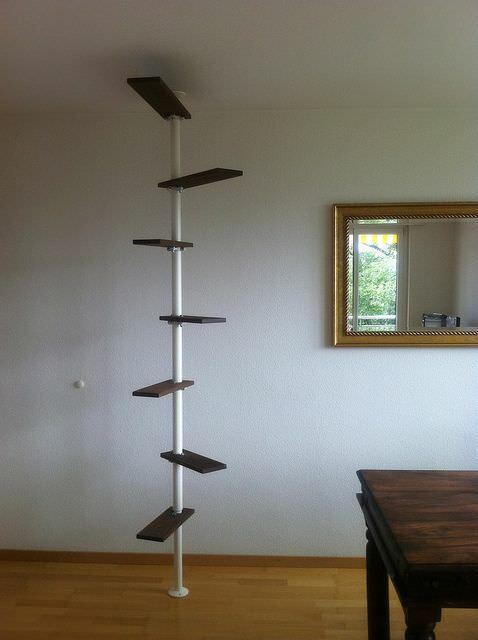 Ikea Hackers again with this great DIY cat ladder project… Steve has had this idea for awhile now, and now he has the final piece of the puzzle… I have a feeling after our next trip to the Seattle Ikea, our cat will have a new toy! 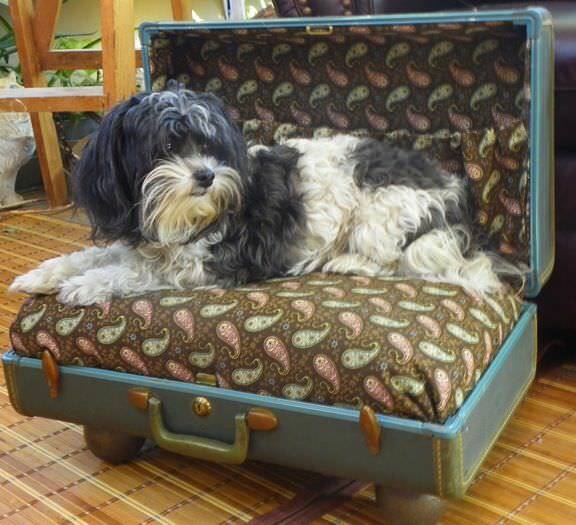 Ok, so Tammy at DeJaVue Designs must have had me in mind when she designed and made this vintage suitcase pet bed. Far from the ugly pet bed stuck in a corner, I LOVE this project. Great job Tammy! 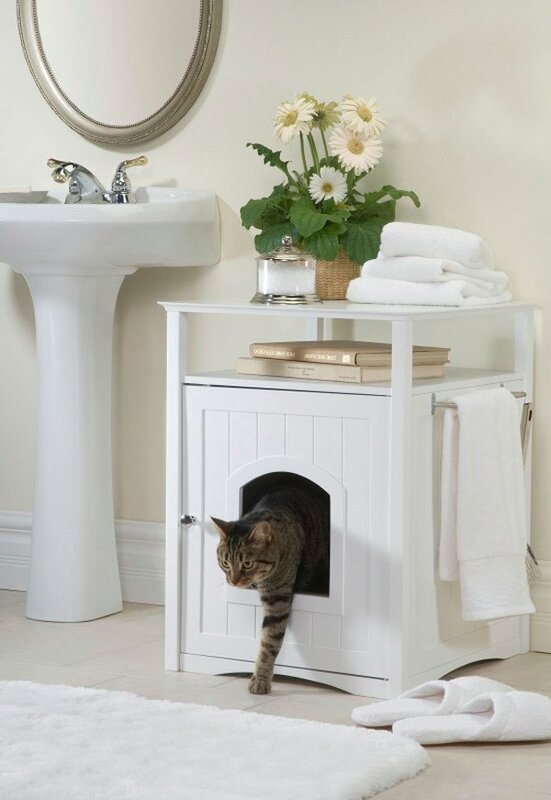 A little bit of inspiration from Interiorholic… this cat box/bathroom furniture is a great idea… but it was originally intended to hide a litter box. I think in the bathroom, holding towels, it might make a better cat bed…don’t ya think? 🙂 But could you create a variation of this out of a stock cabinet? Use these pet friendly decorating tips, tricks and projects to create a special home for all your family…including the furry ones!